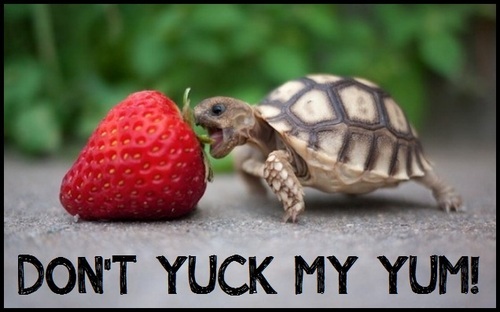 “Don’t Yuck My Yum” – A Pointless Etymolygy Search | Rani Baker Digs You. So, I’ve been hearing this phrase here and there quite a bit lately. 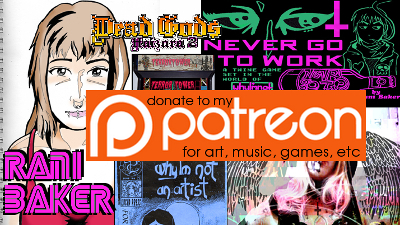 The message itself is pretty simple: If what I enjoy isn’t hurting anyone, don’t try to make me feel bad over it. During the course of the book, there are about a dozen or so riffs on the subject of “yums” and “yucks”, but never that specific phrase. So I decided to waste some time on Google to see if I could find some sort of internet etymological source. So, readers. Any insight on the origin of the phrase? Anything to say one way or the other on the subject of yucks and yums? ← Alex Jones Is Scared That Transgender Equality Will Lead To Messy Bathrooms. I always assumed Ze Frank was the origin. It wouldn’t be the first time something he said or did escaped into the wild.